Gaming with dice has always been popular in India. 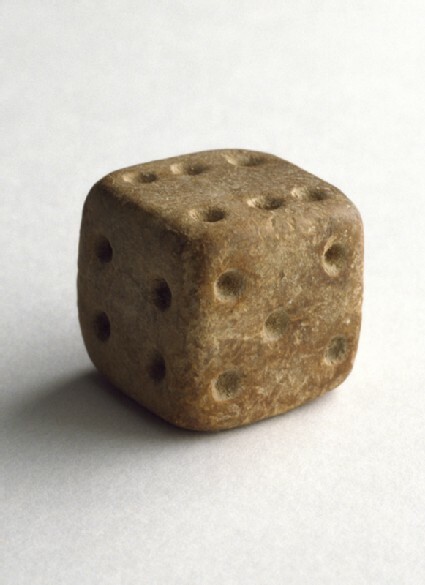 This Indus cubical die is unusual in that its opposite sides add up to seven as in modern dice. Presented by Lady Harrison, 1952.